Mercedes-Benz T 80 Source: © 2018 Daimler AG. All rights reserved. USPA NEWS - Superfast: At the end of the 1930s, racing driver Hans Stuck planned to break the absolute world land speed record with the Mercedes-Benz T 80. 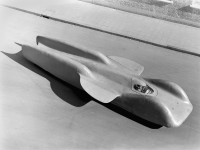 A top speed of 650 km/h was envisaged – and therefore a significant improvement over the existing record (595.04 km/h) established by John Cobb in August 1939. But owing to the breakout of the Second World War, the T 80 with up to 2,574 kW (3,500 hp) was never used. Size: Its slim, flat and aerodynamically optimised body makes the T 80 look elegant and almost graceful in photos. In fact, the record-breaker is truly huge: it is more than eight metres long, and each of its six wheels has a diameter of 1.17 metres. Complete vehicle: The original vehicle is fully preserved in the Mercedes-Benz Classic collection. The body of the T 80, including the spaceframe serving as a supporting frame and the wheels, is a highlight in the permanent exhibition at the Mercedes-Benz Museum. Technology at its finest: In summer 2018 Mercedes-Benz Classic is presenting the original chassis as an exhibit for the very first time. With all components including a DB 603 cutaway engine, it provides profound insight into the technical history of the 1930s. 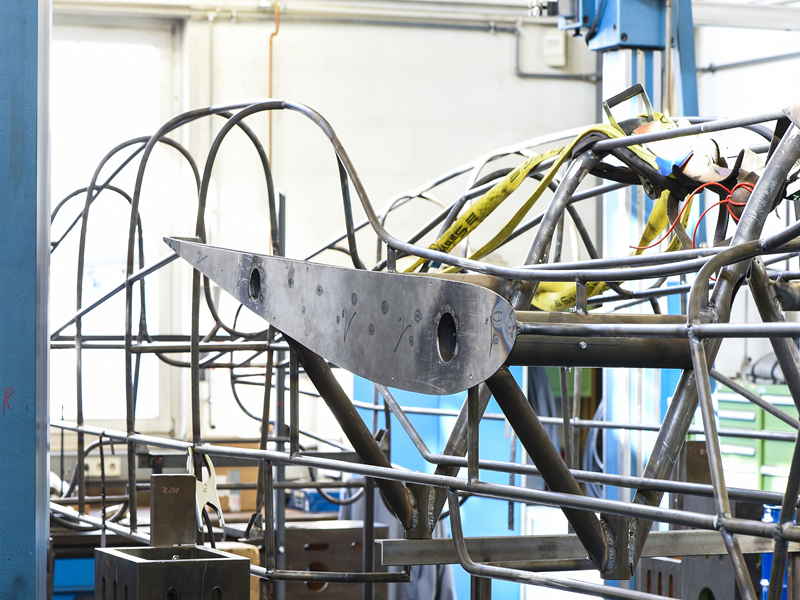 To put the dimensions of the complete vehicle into perspective, the Classic Center has mounted an authentically reconstructed spaceframe onto the chassis, as well as authentically replicated wheels. High-performance technology: The chassis of the T 80 reflects the technical state of the art as it was in 1940. The centrepiece is the mighty powertrain with the engine, centrifugal clutch, axles and brakes. The cockpit with its leather steering wheel, pedal cluster, instruments and driver’s seat with the original fabric upholstery is fully preserved. Right next to this is the model plate bearing the inscription “Daimler-Benz Aktiengesellschaft Typ 80”. A spectacular exhibit is complete: Mercedes-Benz Classic has mounted an authentically replicated spaceframe and a cutaway DB 603 engine on the original chassis of the legendary Mercedes-Benz T 80 record attempt vehicle. This is the first time this behemoth from 1939 can be admired by the public in this form. The unique exhibit provides a comprehensive insight into a design that was intended to produce the world’s fastest land vehicle. The “Model 80” was the brainchild of racing driver Hans Stuck. It was designed by Ferdinand Porsche on behalf of the then Daimler-Benz AG from 1936 onwards – originally for a target speed of 600 km/h. It was to be powered by a Mercedes-Benz aircraft engine. Owing to the Second World War, the record-breaking attempts planned for February 1940 on the autobahn near Dessau never took place, and the T 80 was unable to show its capabilities. In June 1940 the vehicle was placed in storage without its engine. The original body has been on display in the Mercedes-Benz Museum for many years. The chassis is now being shown as a separate exhibit for the first time. Mercedes-Benz Classic is providing fascinating insights into one of the most spectacular Mercedes-Benz vehicles of the 1930s: the experts at Mercedes-Benz Classic have used the original chassis of the T 80 record-breaker and an authentically reconstructed spaceframe, which originally served as a supporting frame for the body and now highlights the dimensions and form of this unique vehicle. This means that the innards of the T 80 are presented just as they were designed and built by Mercedes-Benz eight decades ago. 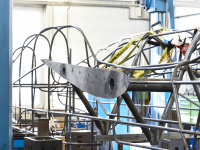 The decision to go ahead with this spectacular project was taken in April 2017: the original chassis of the T 80 was to be made exhibitable – purely as a non-driveable display object. That was a tall enough order. Because around 80 years have left their mark on the chassis and powertrain. The complete cockpit with its leather steering wheel, pedal cluster, instruments and driver’s seat with the original fabric upholstery is fully preserved. The instruments of the T 80 are a rev counter graduated up to 4,000 rpm as the central instrument, an oil pressure gauge and two temperature instruments for oil and coolant. The vehicle was started using an external starter on the clutch housing, and the dashboard only has an ignition key which powers up the ignition magneto. The model plate inscribed with “Daimler-Benz Aktiengesellschaft Typ 80” is attached to the left of the driver’s seat. To present the chassis as an original document of its era, the specialists at Mercedes-Benz Classic first carefully preserved all the mounted parts. This provided the basis for an exhibit that impressively shows the traces of time. It was a stroke of luck that the company’s collection also includes a DB 603 aircraft engine. Because the original engine of the T 80 was a test engine from the aircraft engine development department in Untertürkheim. It belonged to the Ministry of Aviation, which made it available for the world record project vehicle. When the planned record-breaking attempts were cancelled owing to the breakout of the Second World War, the engine was returned to the aircraft engine department. This original engine for the T 80 is lost without a trace. The aircraft engine now installed in the chassis comes from later series production of the DB 603. 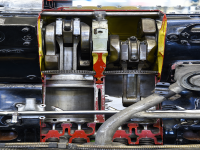 The series production engine’s connecting dimensions differ from those of the test engine; therefore the connection to the centrifugal clutch of the original chassis is not an exact fit. Nevertheless, Mercedes-Benz Classic decided to go ahead and complete the chassis with this engine: firstly because the DB 603 engine once again makes the astonishing overall dimensions of the T 80 obvious. And secondly because the engine from the collection is a cutaway engine. It allows profound insights into the technical details, and perfectly rounds off the demonstration exhibit of the T 80 with its open spaceframe as a substructure. 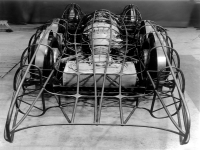 The original spaceframe of the T 80 together with the body and wheels is part of the permanent exhibition at the Mercedes-Benz Museum. 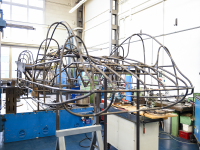 The Mercedes-Benz Classic specialists therefore welded a new spaceframe on the basis of original drawings from the archives. The six wire-spoked wheels with treadless tyres are likewise faithfully reproduced. Building the tubular frame took a total of about three months. 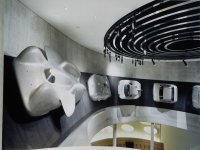 Around 150 metres of steel tubes with an external diameter of 20 millimetres and a wall thickness of 1.5 millimetres were used. As during the construction of the original, copies of the design drawings were hung on the workshop wall when the work was carried out to serve as a reference for faithful reconstruction. All in all, the Mercedes-Benz Classic archives hold approximately 500 drawings relating to the T 80. 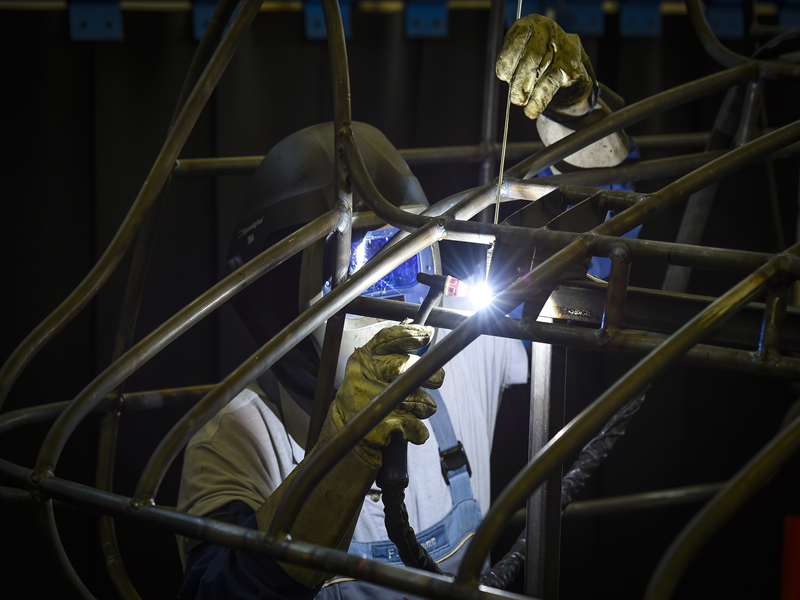 The specialists used these plans to take precise measurements for reconstruction of the frame. In addition, they examined the original spaceframe at the Mercedes-Benz Museum. Reference points for the body connections and supports were registered in addition to the internal dimensions and the attachment points for the wings. As the original T 80 is exhibited on the banked curve of the “ Fascination of Technology” area, the specialists were obliged to secure themselves with professional mountaineering equipment when taking their measurements. 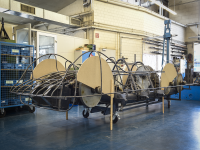 The data obtained were used to build the new spaceframe by hand with the help of cardboard templates. Like the original, it is painted in matt silver. And as before, it is attached to the chassis with eight bolts and quick-release catches to allow good access to, for instance, the wheels and engine for maintenance work. An inserted side fin on the left completes the T 80 exhibit. This is the only component of the exhibit to be clad with lightweight aluminium panelling for demonstration purposes. The combination of the chassis and spaceframe makes the enormous body dimensions and the nonetheless elegant impression of the T 80 obvious: with its body, the world record project vehicle is 8,240 millimetres long and just 1,740 millimetres wide (without side fins), and around 1,270 millimetres high. 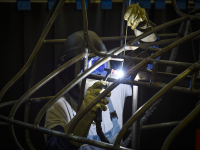 The spaceframe for the exhibit is the largest construction of its type ever undertaken by Mercedes-Benz Classic. How closely the body contours follow the chassis can be seen particularly clearly. 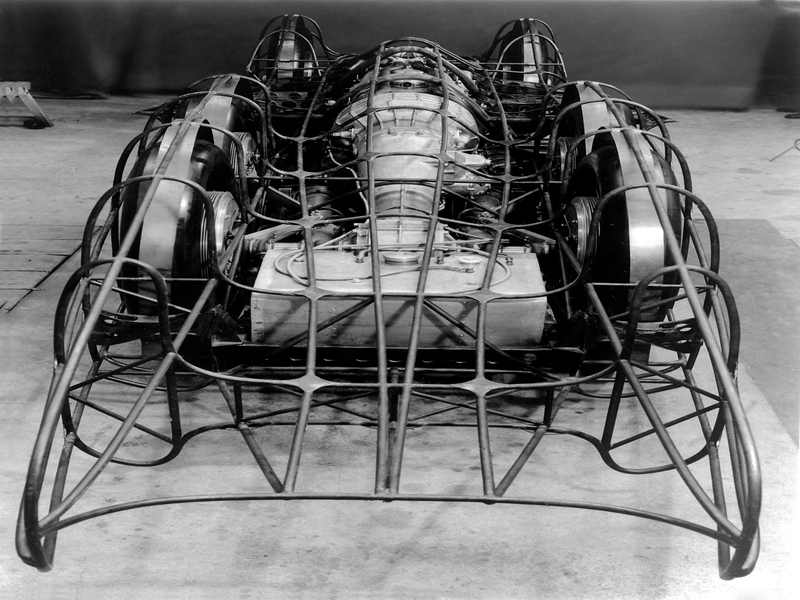 Some of the tubes also have slightly flattened sections so that the spaceframe and body follow the major assemblies even more closely: the engineers used every available millimetre in the interests of aerodynamics, allowing only those gaps that seemed necessary for the vehicle to operate at the hoped-for maximum speed of 650 km/h. 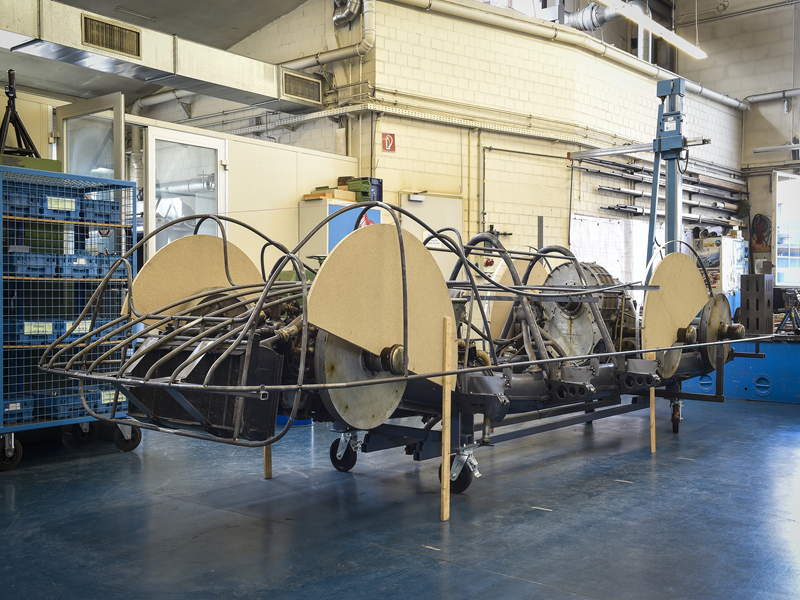 Using the original chassis of the Mercedes-Benz T 80, Mercedes-Benz Classic has created a spectacular standing exhibit through close cooperation between the archives and the workshop. It provides an insight into the technology of the 1930s – and into an era of legendary record-breaking attempts prompted by the innovative spirit of intrepid engineers. 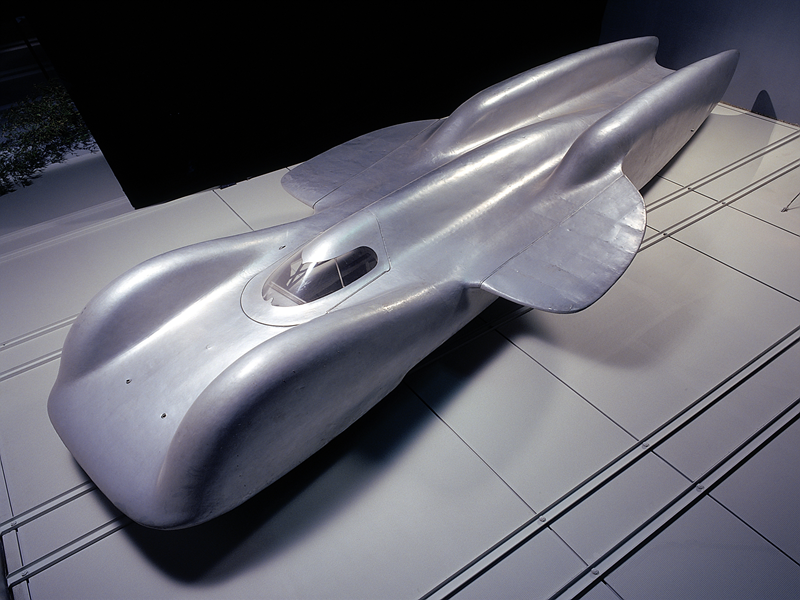 The Mercedes-Benz T 80 world record project car was the brainchild of racing driver Hans Stuck: he wanted to break the absolute world land speed record. Stuck completed the project with the help of three major personalities: Wilhelm Kissel, the Chairman of the Board of Management of Daimler-Benz AG, engineer Ferdinand Porsche and air force general Ernst Udet. During the 1930s each of them made their contribution to completion of the project. 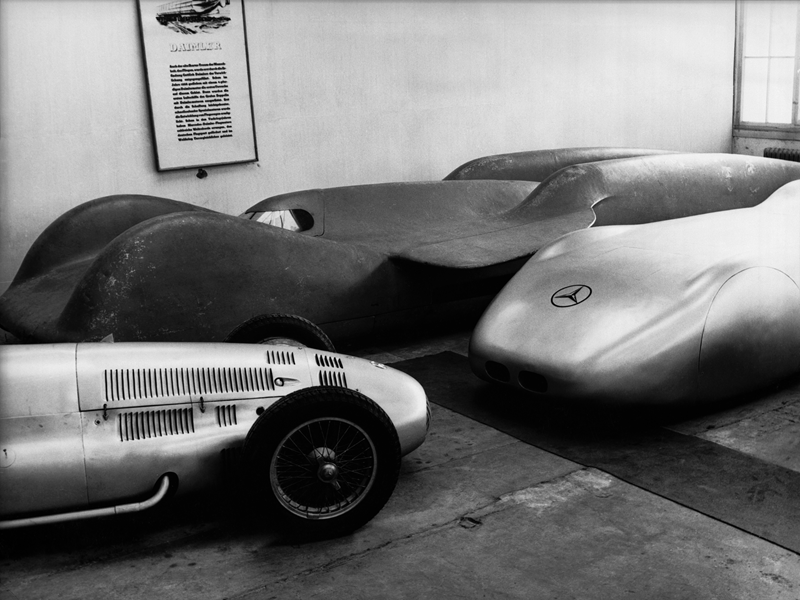 The story of the Mercedes-Benz T 80 is a marathon for the designers and aerodynamicists: the project began in 1936. Via numerous development stages and vehicle refinements, it came to an end in 1940 – without the T 80 ever being used. The aim of all those involved was to achieve a speed never before reached by any land vehicle. This was all the more challenging because, in that period, British drivers were establishing new records all the time at Daytona Beach and on the Bonneville Salt Flats: on 3 September 1935, Malcolm Campbell reached a speed of 484.62 km/h over the flying mile with “Blue Bird”. On 19 November 1937, George Eyston broke the 500 km/h barrier with “Thunderbolt” (502.11 km/h over the flying kilometre). And finally on 23 August 1939, John Cobb established a new record of 595.04 km/h over the flying kilometre with “Railton Special”. Accordingly the planned target speed of 550 km/h was revised upwards, first to 600 km/h and finally even to 650 km/h. If this project proved successful, Mercedes-Benz would add another triumph to a long list of speed records. The highlight to date was the speed record on public roads established by Rudolf Caracciola on 28 January 1938: he reached a speed of 432.7 km/h with the record-breaking Mercedes-Benz W 125 on the autobahn near Darmstadt. Nevertheless, the T 80 project was not without its critics within the company. This was not least due to Hans Stuck himself. After all, the Grand Prix racing driver competed for Auto Union in the 1930s. How would the public respond if the highly successful Stuttgart racing department engaged a driver from the competition for its absolute world record attempt? Many decision-makers in the company therefore wondered if it would not be better to entrust works driver Rudolf Caracciola with the record-breaking attempt as previously. 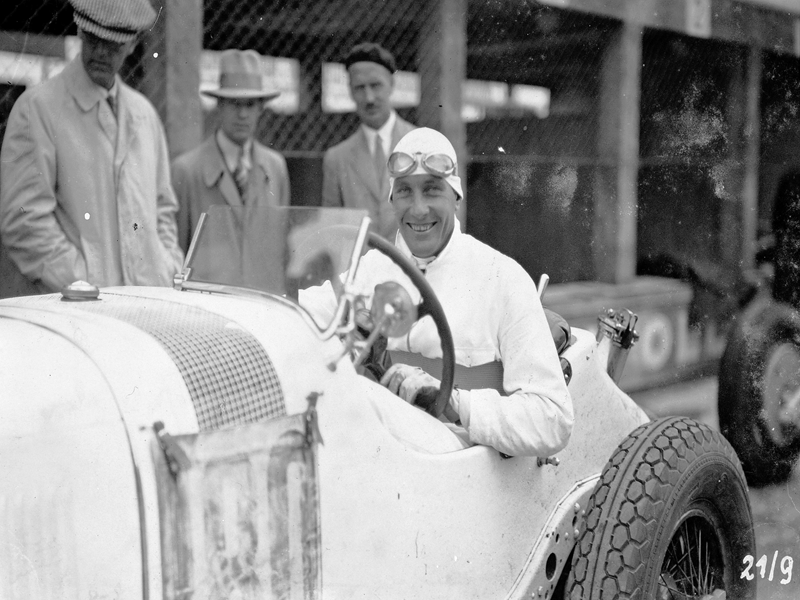 On the other hand, Stuck also had connections with the Stuttgart brand: in 1931 and 1932, driving a Mercedes-Benz SSKL, he raced very successfully for the Mercedes star. In 1932 he became international Alpine champion and Brazilian hill-racing champion. Four years later, Stuck was now using his former contacts with Untertürkheim. Via the racing department of Auto Union, he made contact with designer Ferdinand Porsche. 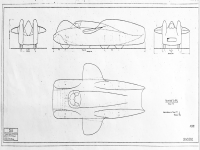 It was on the latter’s P-vehicle concept that the Grand Prix racing cars of Auto Union were based from 1934 to 1936. And flying ace Ernst Udet had already known Stuck since the 1920s. At that time the two would spar off, e.g. in ice races on the frozen Lake Eib near Garmisch-Partenkirchen: Stuck driving an Austro Daimler racing car and Udet flying an aircraft. What was the motivation for Stuck’s desire to break the absolute world land speed record? One reason was undoubtedly his Auto Union team mate Bernd Rosemeyer. When the latter won the European Grand Prix championship in 1936, Hans Stuck started looking for another stage on which to demonstrate his driving skills. An obvious possibility was the world record, which was dominated by British drivers at the time. Stuck had contacts in the National Socialist government, and knew that he could rely on political support for this prestige project. Nonetheless, he also needed partners for its technical implementation. On 14 August 1936 he sent a telegram from Pescara to the Chairman of the Board of Management of Daimler-Benz, Wilhelm Kissel, requesting a meeting. In a conversation with Kissel, the racing driver suggested that Mercedes-Benz should build a record-breaking vehicle powered by a Daimler-Benz aircraft engine. The British record-breaking cars of that era were also powered by aircraft engines. 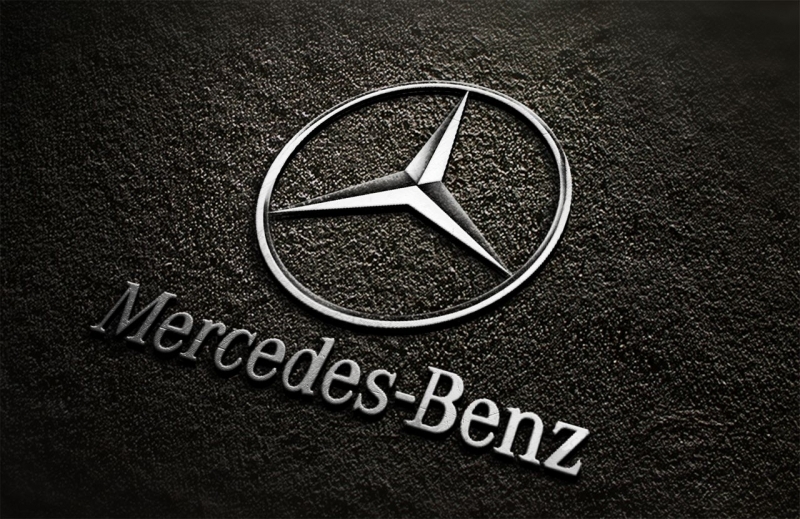 Record-breaking attempts were not new territory for Mercedes-Benz. After all, the Stuttgart-based company had set numerous records in the 1930s. 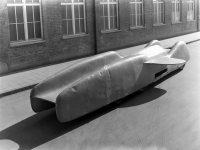 And as Kissel remembered, the idea of building a record-breaking vehicle powered by an in-house aircraft engine had already come up under the aegis of late Daimler-Benz board member Hans Nibel, who died in 1934. The vehicle for the record attempt was to be designed by Ferdinand Porsche, who had left his position as Chief Engineer at Mercedes-Benz in 1928. However, there were still connections between the world’s oldest automobile manufacturer and the Porsche design studio (P.K.B.). Between 1936 and 1937 Mercedes-Benz, among other things, built 30 prototypes of the “KdF” car, which went into series production as the VW Beetle after the Second World War. On 11 March 1937, Dr. Ing. 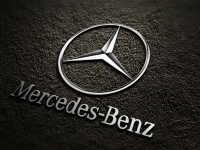 h.c. F. Porsche GmbH concluded a contract with Daimler-Benz AG for extensive involvement in all areas of engine and vehicle design. As well as the T 80 (according to Porsche nomenclature, the “T” stood for “type”), the resulting projects included the T 90, T 93, T 94, T 95, T 97, T 104 and T 108. So, in addition to the world record project vehicle, Porsche was also involved in developing racing cars, commercial vehicles and engines. The T 80 was to be powered by a Daimler-Benz aircraft engine. However, the manufacturer did not have automatic access to such a unit, as the Ministry of Aviation had sole rights of disposal over all aircraft engines produced in Germany. Therefore, Stuck put his connection with Ernst Udet to good use. The flying ace had meanwhile been promoted to head of the Luftwaffe’s technical department. Fritz Nallinger, at that time Daimler-Benz’s technical director responsible for the design, development and production of large engines, commented on the project in September 1936. In Nallinger’s estimation, an output of 1,103 kW (1,500 hp) with the initially proposed DB 601 aircraft engine was definitely possible. In fact, 2,036 kW (2,770 hp) was achieved with a version of this engine prepared for flying record attempts in 1938 and 1939. In October 1936 Kissel informed Porsche by telephone that the Ministry of Aviation was willing to release two engines. He also asked Porsche to commence work on the project. The official order followed on 13 January 1937. An appendix to the order pointed out that the Porsche design was always only to be referred to as a Mercedes-Benz world record project vehicle. The financing was initially arranged as follows: Daimler-Benz would bear the cost of building the chassis. The body was to be built and paid for by aircraft manufacturer Heinkel. Organisation of the record-breaking attempt itself would be financed by racing driver Stuck himself. This had already been laid down by Kissel when he met with Stuck on 21 October 1936. In November 1936 Kissel estimated that the T 80 could not be completed before October 1937. In February 1937, the project took a major step forward when Ernst Udet approved the official release of the DB 601 aircraft engine for installation in the T 80. In view of the greater power requirement that became obvious during the course of development, this approval was later extended to the DB 603 V3. 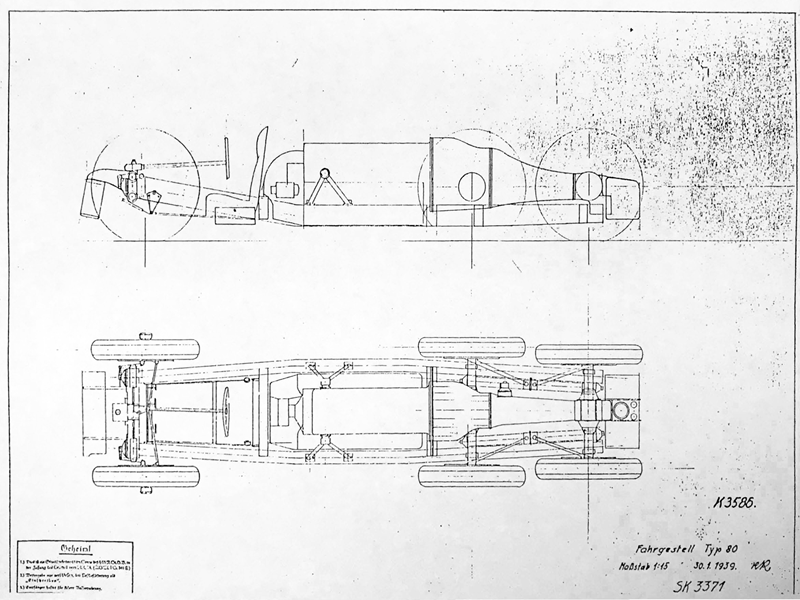 On 6 April Porsche presented his plans for the T 80 in Untertürkheim. These describe a multistage development process, from an initial twin engine proposal to a final single engine concept. This latest proposal already showed most of the characteristics of the vehicle actually built: a three-axle record-breaking car powered by a centrally suspended V12 aircraft engine. Porsche calculated that for a record speed of 550 km/h after a distance of five kilometres, an engine output of at least 1,618 kW (2,200 hp) or better still 1,838 kW (2,500 hp) would be necessary. Originally the plan was to use a track in the United States of America for the record-breaking attempts. In mid-1938 this gave way to a plan to use a specially prepared section of the autobahn between Dessau-South and Bitterfeld instead. In August 1938 the General Inspector of German Roads, Fritz Todt, announced that the date for the proposed release of this autobahn section for use would be in October 1938. The question of the location for the record attempt was never actually settled. But there was still talk of a record attempt in the USA in 1939. All the world speed records of recent years had been achieved on the Bonneville Salt Flats in the USA. One reason for the renewed discussion at Mercedes-Benz might have been the difficult driving conditions on the manually paved median between the two lanes on the envisaged section of the autobahn. The T 80 increasingly took shape during the course of 1938. In October Ferdinand Porsche viewed the wooden model of the bodyshell together with employees. 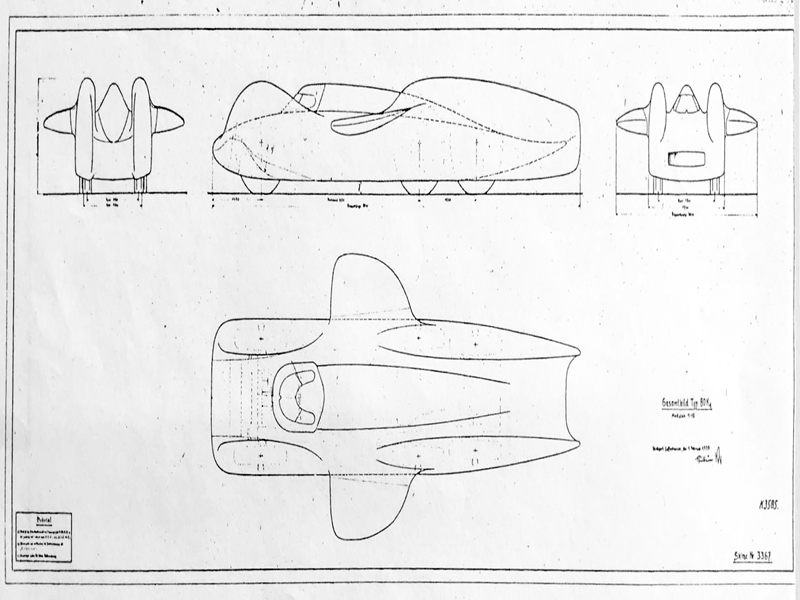 It was now time to define the types of steel panelling for the body and produce a corresponding bill of materials, decide on the details of the seat and cockpit and formulate the tubular structure of the spaceframe. 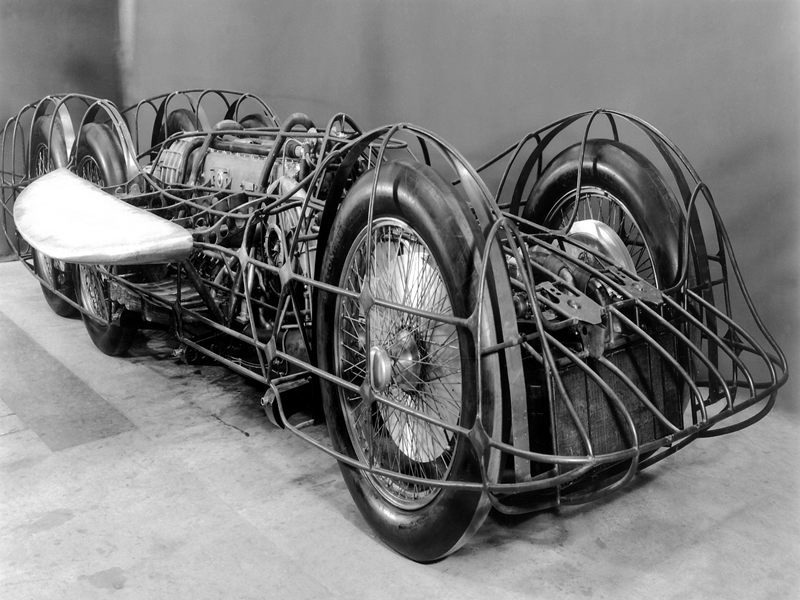 On 26 October 1938, the Mercedes-Benz racing department recorded in a test report that the first welded frame weighed 224 kilograms. 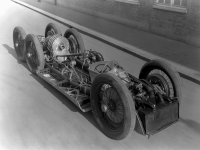 The chassis and frame were completed at the end of November 1938. The Mercedes-Benz racing department planned that the vehicle complete with all its major assemblies would be ready by the end of January 1939. A memo dated 26 November 1938 states that if the aircraft engine could also be delivered by then, the chassis could be assembled by the end of February 1939. The body would then be completed by May 1939. Will the tyres withstand the record-breaking speed? 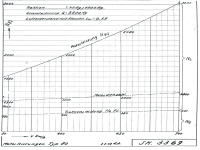 Tyre manufacturer Continental tested the wheels intended for the T 80 on a test stand, and during a high-speed test at 500 km/h in January 1939 found severe deformation of the wire-spoked wheels supplied by Hering in Ronneburg (Thuringia). In May there were still slight deformations at 480 km/h. Porsche had meanwhile calculated that a distance between 13.73 kilometres (with 2,023 kW/2,750 hp) and 11.48 kilometres (with 2,206 kW/3,000 hp) would be necessary for a record-breaking run at 600 km/h. In 1939 the decision was reached to equip the T 80 with a DB 603 engine. In March 1937 the Ministry of Aviation had forbidden its further development as an aircraft engine, but it could be used for the land speed record if the ministry approved. The engineers were confident that the 44.5-litre V12 aircraft engine designed for an output of around 1,471 kW (2,000 hp) could reach up to 2,206 kW (3,000 hp) at 3,200 rpm during a record-breaking attempt. To this end the engine was to be fuelled with the two special racing fuels XM and WW. From February 1940 the company was permitted to restart its work on the DB 603 as an aircraft engine. Series production for aviation use began in 1941. In 1939 racing manager Alfred Neubauer noted down that a DB 603 for the T 80 could be delivered as a “running-in engine” in June of that year. The engine to be used in the actual record attempt would be available at the end of August 1939. In June Fritz Nallinger, who was responsible for Daimler-Benz aircraft engines, improved various details for installation of the world record project engine in the T 80. This included modifying the routing of the air intake ducts and configuring the exhaust ducts so that the vehicle could convert recoil energy into speed. In summer 1939 measurements on a scale model of the T 80 were also carried out in the wind tunnel of the Zeppelin company in Friedrichshafen. The aim was to find the optimum level of downforce: strong enough to bring the entire engine power onto the road, but as low as possible so as not to overload the tyres with their thin tread surfaces. Following these measurements, the surface area of the downforce fins was reduced by another 3.65 square metres. Testing of the T 80 was also continued after the outbreak of the Second World War on 1 September 1939. On 12 October the chassis of the world record project car was tested on the roller dynamometer, for example. In view of the new record of almost 600 km/h set by Cobb, Porsche was meanwhile envisaging a speed of up to 650 km/h for the record-breaking attempt. This would probably make an engine output of up to 2,574 kW (3,500 hp) necessary. Even this level of power seemed possible with the DB 603. No further steps were taken towards achieving the world land speed record. As early as February 1940, Mercedes-Benz sent an enquiry to the Ministry of Aviation about a possible contribution towards the development and production costs. In June 1940 a final report was produced for the project, and the T 80 was placed in storage. The DB 603 world record project engine meanwhile installed in the vehicle was returned to the Ministry of Aviation. After the Second World War, Mercedes-Benz exhibited the T 80 in the company’s museum in Untertürkheim. When the museum was reorganised in 1986, the body and chassis were separated and the chassis was placed in storage. The new Mercedes-Benz Museum opened in 2006 outside the gates of the Untertürkheim plant also presented the T 80 in the permanent exhibition with its original body, spaceframe and wheels – but without the heavy chassis. The body exhibited in the Mercedes-Benz Museum intentionally shows the world record project car with traces of the project work which was unfinished in 1940. Mercedes-Benz Classic is now juxtaposing the chassis together with the replicated spaceframe and the cutaway engine with this mighty exhibit. From mid-2018 this unique exhibit will make the technology of the T 80 immediately and impressively accessible. While the other record-breaking Mercedes-Benz cars of the 1930s were built on the basis of successful Grand Prix racing cars, the T 80 was a completely new development. The Stuttgart-based company established new scales with this vehicle, not only in terms of speed, but also in terms of dimensions: no racing or record-breaking Mercedes-Benz car had ever come close to the 8,240-millimetre long T 80. Porsche designed a three-axle vehicle powered by an aircraft engine. The wheelbases were 3,550 and 1,280 millimetres (distance between the front axle and the front rear axle, and between the two rear axles). 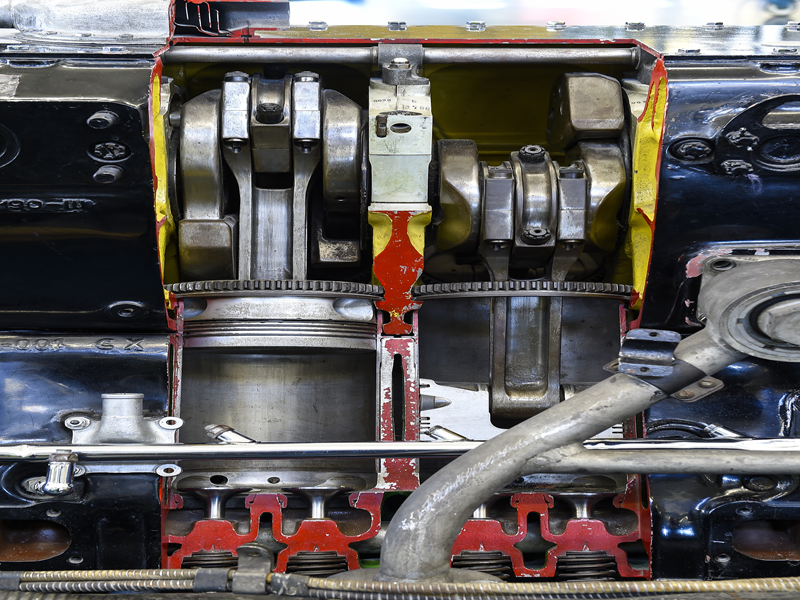 The V12 engine with overhead cylinders was installed ahead of the first rear axle. It transferred its power to the two rear swing axles. The designers dispensed with a transmission in view of the high torque. A six-disc thermal clutch with automatic centrifugal force adjustment was used instead. The torque compensator was another innovative feature. Nowadays we would call it acceleration skid control. This mechanical system effectively prevented slip at the rear axles when the vehicle moved off, thereby helping to preserve the tyres. The engine was installed in a suspended position as in an aircraft. This allowed the frontal air resistance of the vehicle to be kept as low as possible. The slim, aerodynamically optimised body of the T 80 enabled it to achieve a Cd figure of 0.18. According to Mercedes-Benz figures from 6 June 1940, the body panelling weighed exactly 132.5 kilograms. It was carried by a spaceframe weighing 124.5 kilograms. The engine with its flywheel weighed 808 kilograms. All in all, the T 80 had a dry weight (without service fluids and driver) of just under 2,900 kilograms. This was of considerable importance: The vehicle was not even half as heavy as British record hunter John Eyston’s “Thunderbolt”. The mountings for the side fins, which were not permanently attached to the body, are on the spaceframe. These fins are reminiscent of aircraft wings, but have the opposite profile. They generate downforce, increasing the contact pressure of the drive wheels on the road surface. Around 900 kilograms of downforce were considered ideal for the proposed record-breaking runs. When the project came to an end in 1940, the body was still in the provisional state of an uncompleted project. Eight quick-release catches connect the entire body to the chassis, which consists of a ladder-type frame with side members of oval tubes. The body was removed for tyre-changes and maintenance work. For wheel-changes, there were pneumatic jacks at four points which were operated via a central connection. The front wheels were attached to Porsche-system parallelogram arms swinging in the direction of travel. The suspension system featured transverse torsion bars. The vehicle was additionally sprung by bending springs in the middle. The shock absorbers were combination friction/hydraulic dampers. The front track width was 1,300 millimetres. 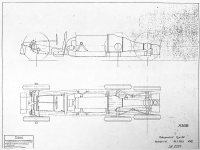 The two rear axles had different track widths (1,320 and 1,180 millimetres). This followed the rear-tapering profile of the body. The rear axles were sprung by torsion bars with swing compensators. The spring travel was low to avoid changes in wheel camber: 45 millimetres upwards and 42 millimetres downwards. To control braking and acceleration forces, the rear wheels were guided by strut rods. Drum brakes with four brake blocks braked the T 80. The drum brakes originally installed in the chassis were to be replaced by so-called turbo brake drums with ribbed exterior surface for the record attempts. The castings for these were already available when the vehicle was decommissioned in 1940. The centrepiece of the T 80 was the Daimler-Benz DB 603 aircraft engine. It was one of a family of large aircraft engines whose development began at Mercedes-Benz in 1927. They were based on the aircraft engines designed by Arthur Berger at Benz & Cie., who came to Daimler-Benz AG following the merger. His F 2 and F 4 (M 71) engines provided the basis for the coming Mercedes-Benz aircraft engine designs until the war ended in 1945. The first aircraft engine to enter series production at Daimler-Benz in the 1930s was the DB 600 developed from the F 4. This V12 carburettor engine with a displacement of 33.9 litres, supercharger, four valves per cylinder and overhead cylinders developed up to 735 kW (1,000 hp). One important technology for aircraft engine designers in Germany in the 1930s was fuel injection. In 1934 the Ministry of Aviation directed the manufacturers to develop such injection engines. Not only did they consume less fuel with a higher output, they were also less sensitive than carburettor engines in certain flying manoeuvres. 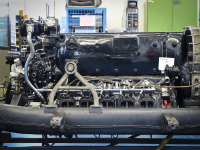 To meet the requirements of the ministry, Daimler-Benz began developing the DB 601 (M 74) injection engine with up to 993 kW (1,350 hp) in 1934. In July 1937 it was with the DB 601 that the first flight records were achieved at the 4th International Aviation Meeting in Zurich. Large-scale production began in November 1937, and the engine was used in numerous aircraft models, including the Messerschmitt Bf 109 and Bf 110. Its direct successor from 1941 was the DB 905 derived from the DB 601, which had a displacement of 35.7 litres and an output of up to 1,470 kW (2,000 hp). 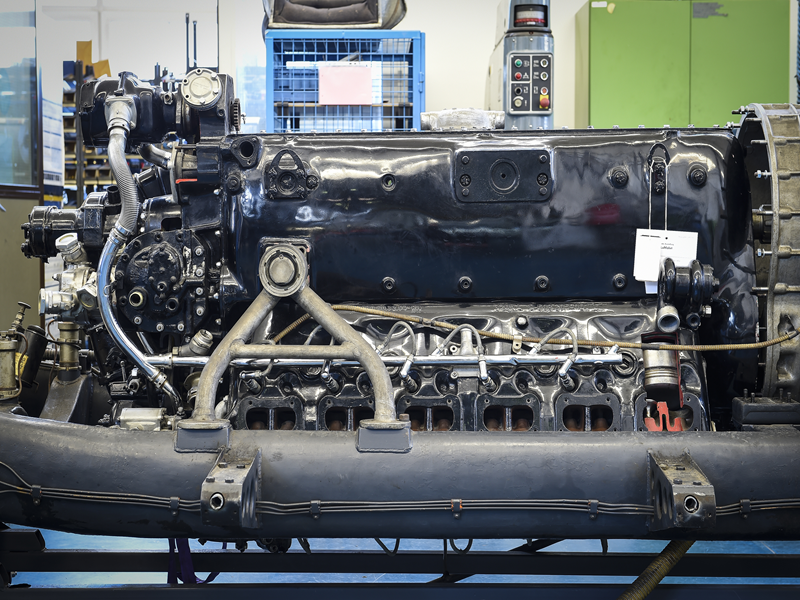 In autumn 1936 Daimler-Benz proposed the development of a 44.5-litre V12 petrol engine with around 1,103 kW (1,500 hp) under the name DB 603. But Ernst Udet stopped the development on 15 March 1937 because the aircraft the powerful engine was supposed to power did not meet his requirements. So while the world record project engine of the T 80 was an aircraft engine, it was not allowed to be developed further for use in aircraft in 1939. It was only in January 1940 that the ministry could be convinced that the DB 603 was not inferior to the smaller DB 601 at high altitudes, and was even markedly superior to it near the ground. The development stop was therefore rescinded in February 1940. The ministry did not want to relinquish the DB 603 installed in the T 80, and the Mercedes-Benz racing department had to remove and return the record-breaking engine. Compared to other engines, the DB 603 excelled with its outstanding reliability and lower dry weight. The cylinder liners were shrink-seated and bolted to the crankcase with ring nuts. The two sodium-filled intake valves and exhaust valves were controlled by an overhead camshaft driven by a vertical shaft which successively operated the intake and exhaust valves with one cam each via oscillating levers. During standard operation in aircraft such as the Dornier models Do 217 and Do 335, the Heinkel He 219, the Messerschmitt Me 309 and Me 410 as well as the Focke-Wulf Ta 152, the DB 603 developed a peak output of 2,200 kW (2,750 hp). 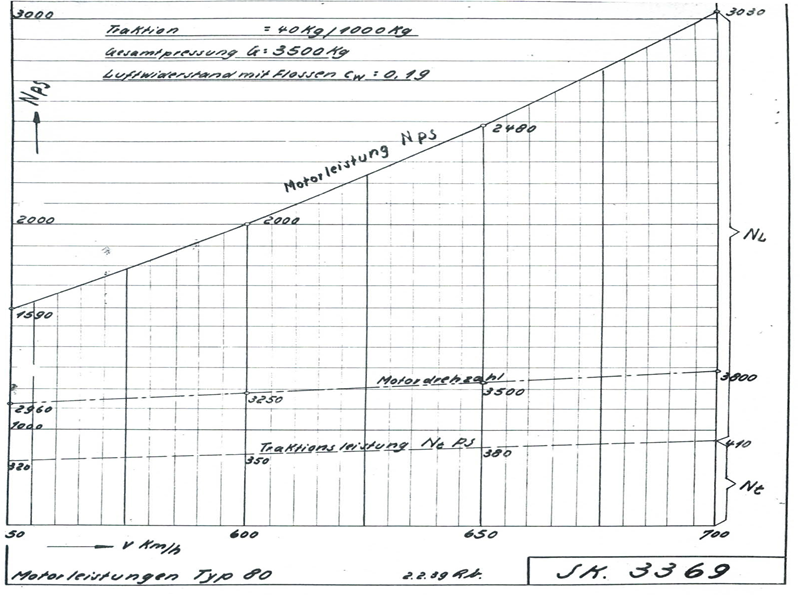 If the output of the DB 601 used for the flying records in 1938 and 1939 is compared with its standard version, the desired increase in the output of the DB 603 for use in the T 80 record-breaking car to up to 2,574 kW (3,500 hp), and possibly even up to 2,647 kW (3,600 hp), definitely appears realistic.